Can Adults With Down's Syndrome Live Independently? Living with Down’s syndrome certainly has its challenges, but for many they can still have some level of independence, including their living arrangements. Living with Down’s syndrome certainly has its challenges, but for many they can still have some level of independence, including their living arrangements. More and more adults with Down’s syndrome are seeking that independence, especially since the life expectancy has risen dramatically to 60 years compared to only 25 years in the early 1980’s. When considering housing opportunities, there are a number of factors to take into account, and it also depends on the level of support the individual will need. For this reason there are a variety of housing options now available, and support systems that can be tailored to each person’s needs. Whilst some may prefer to stay in the familiarity and security of a family home, there are those with Down’s who would prefer to transition into their own housing, to gain more independence. This includes those who are undertaking tertiary study at a college or university, and those who are out in the workforce. This is an option for those who are well equipped to make their own decisions. Having a lease agreement allows the individual to make decisions regarding choosing roommates, the furniture, and the routine of the household. This is not appropriate for some, as it does require a higher level of independence. Otherwise known as group homes or a community residence, vendor owned homes are a good solution for those who need to further develop their independence. This does however mean that the individual or their family members have little say or control over the living environment. There is a higher level of support available though, which is supplied by the vendor. This housing option is great for those with a good level of independence who still need the assistance or the security of having someone else in the home. Often this will involve someone with Down’s syndrome living with a person who doesn’t have a disability, just to give them that extra support they need. Sometimes the family will compensate the roommate, either financially or by other type of assistance for their role as a support person. This is quite often the very last option a family will consider for their loved one with Down’s syndrome, but nonetheless, it is one option that is available. 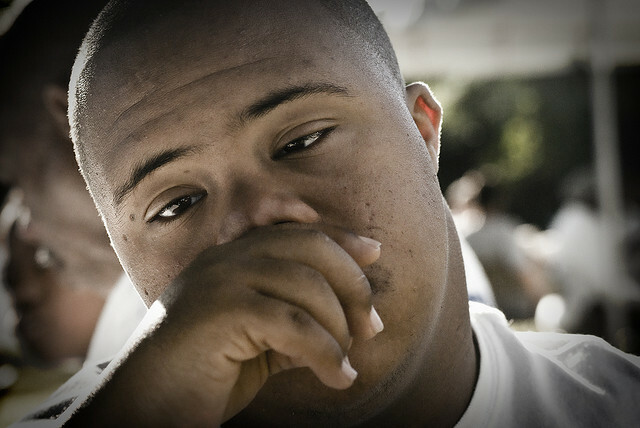 Moving an adult into foster care can be hard for the family as they think it means they failed in some way, but in fact, people with Down’s Syndrome have been known to thrive in another family unit simply because they learn a level of growth and independence that they often can’t learn within their own family unit because of the emotional ties of the family.